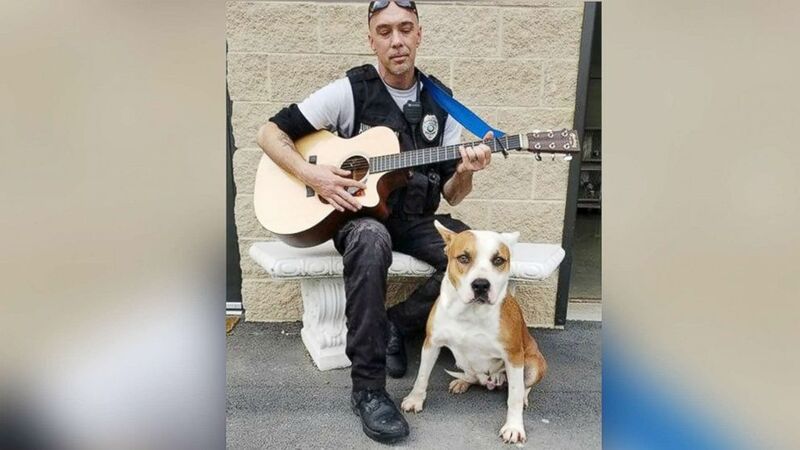 An animal control officer stepped into a noisy kennel full of dogs, he began singing and strumming his guitar, but never expected the reaction he got from his furry friends. 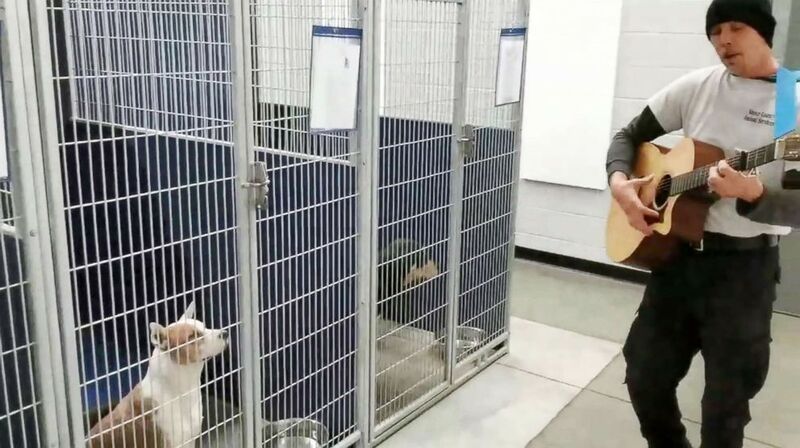 Chad Olds put his singing talents to good use on Tuesday at Friends of Vance County Animal Shelter in Henderson, North Carolina, and performed Alan Jackson's "Red on a Rose" for some of the animals. “I bring my guitar into work with me sometimes and Chief Frank Nobles came in and said, ‘What would happen if you sang to the dogs?’ So we tried it out,” Olds told ABC News. (Friends of Vance County Animal Shelter) Chad Olds performed with his guitar and sang to the kennel of adoptable dogs at Friends of Vance County Animal Shelter in North Carolina on Feb. 13, 2018. 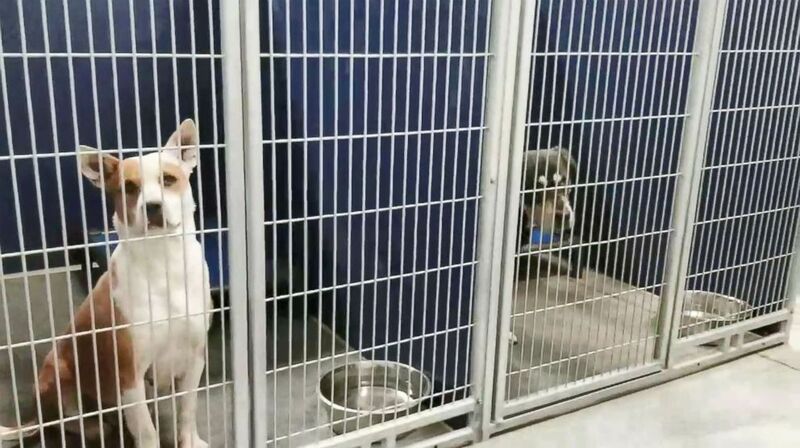 There were between 20-22 adoptable dogs inside that particular part of the kennel, most of which can’t be seen in the video, but Olds said that he was stunned by the silence throughout the entire space. The shelter shared the video on Facebook Tuesday and it has since been viewed more than 400,000 times. Olds said their page has added more than 2,000 members. “I’m happy to be the voice for these animals and that it's bringing so much positive awareness to them,” Olds said. “My administrator allowing things like this is just wonderful, we’re thinking outside the box and getting creative to help these animals so you couldn’t ask for a better administrator to allow things like that." The shelter has also seen an increase in adoption requests and Olds even met one couple filling out adoption papers who came in because they saw his video. While this doesn’t exactly fall in Olds job description, which includes cleaning, medicating and feeding all the animals as well as his role of responding to calls in the field, he said he has enjoyed seeing members of the community who are interested in coming to spend time with the dogs at the shelter. He went on to add, “I think it’s wonderful and I want to express my thanks to everyone here on my team and everyone else for the support, but it isn’t about me, it’s about the animals for the love for them." Olds will continue to perform for the dogs when he can and said they are planning to play and post more videos at least once a month. But, in the meantime, they will be buying radios to play soft music inside the kennels. “I can’t wait to see where this goes,” Olds said.